Andy: As I have said in other reviews, I am not usually a fan of white rum. If you like white rum though, give this one a shot. It doesn’t have a harsh aroma, a harsh taste, or the general nastiness that Bacardi Silver has. I would definitely keep this on hand for guests who prefer light rum. It’s a good one. If you like Bacardi Silver, then this is a much better choice. 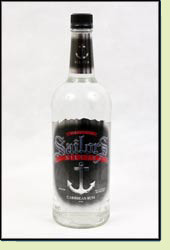 Adrian: The Sailors Silver is not bad for a white rum. It doesn’t have the harsh bite that Bacardi has. It is definitely a bargain and makes a great base to tropical drinks where you don’t want to add a lot of rum flavor.